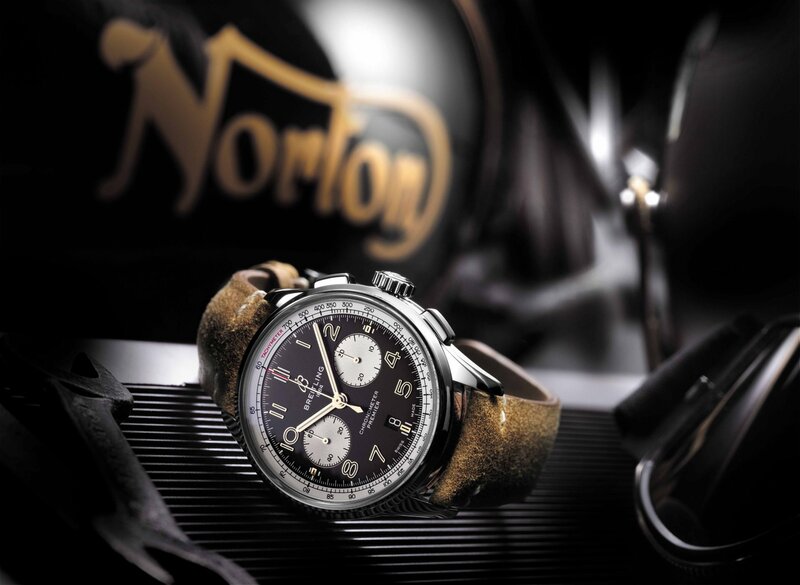 The Breitling Premier Norton Edition is a potent representation of a partnership between two iconic brands that share intriguingly similar timelines and powerful legacies. 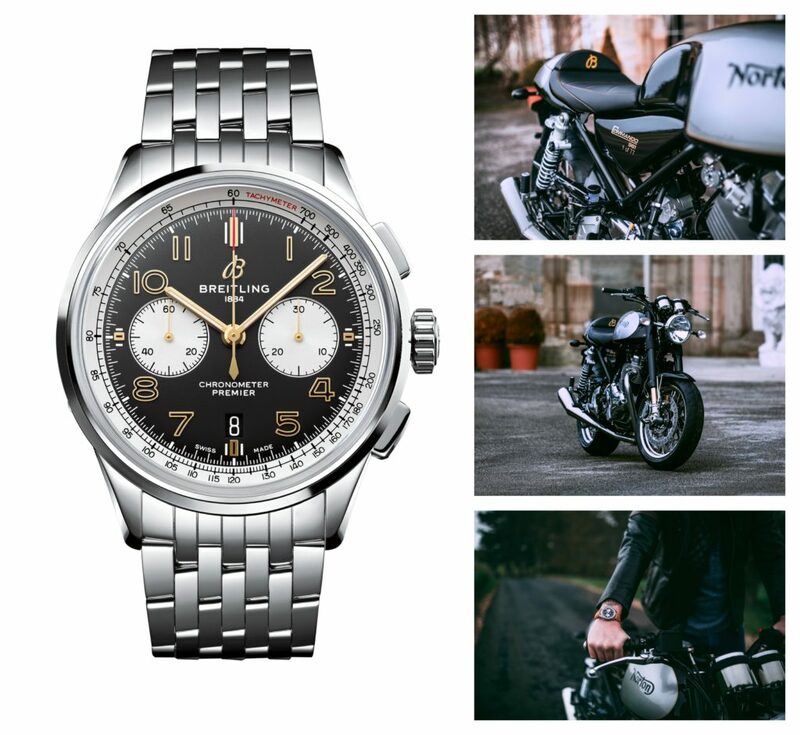 The watch expresses the style and performance expected from a maker of refined Swiss watches and a motorcycle brand renowned for its exclusive British engineering. 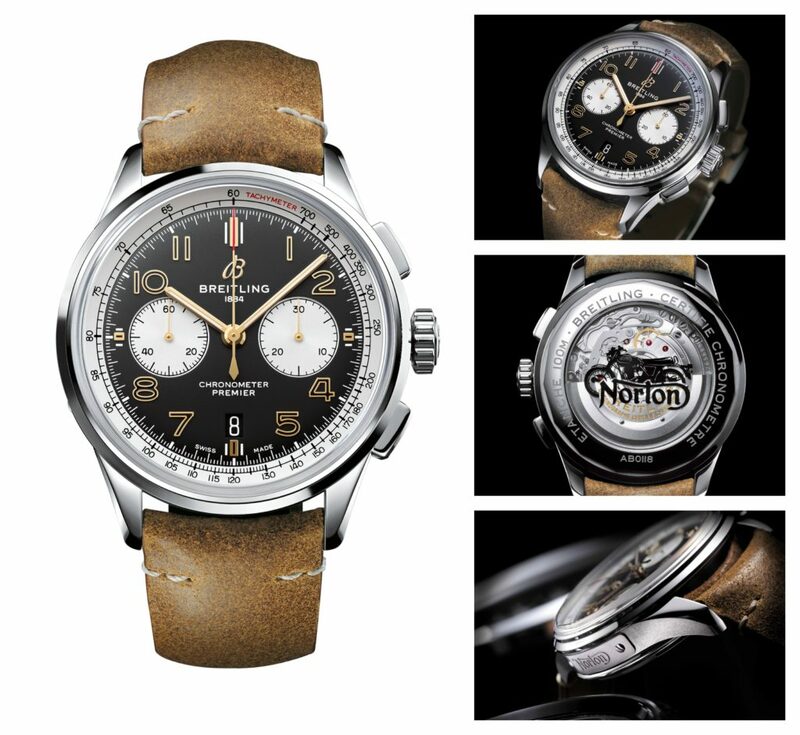 The Breitling Premier B01 Chronograph 42 NortonEdition celebrates the partnership between the prestige watch brand Breitling and British motorcycle company Norton, known worldwide for its high-performance motorcycles. The watch is part of Breitling’s Premier collection, a family of elegant watches defined by their fashionable flair. The new Norton Edition is a distinctive interpretation of the Premier that makes a bold urban chic style statement. Willy Breitling was famously quoted as saying: “When a man puts on his Breitling, there is the unmistakable stamp of impeccable taste.” A Norton motorcycle is a similar sign of its owner’s personal flair. Breitling Manufacture Caliber 01 at the heart of this watch, which delivers an impressive power reserve of approximately 70 hours. Breitling, which now, more than ever, is an authentic brand for individuals of style, purpose, and action.